Bur Dubai is to the left (south-west) of the creek. Deira is to the right (north-east) of the creek. The green dot (right side) is the airport. The black dot is the South African Airways office. 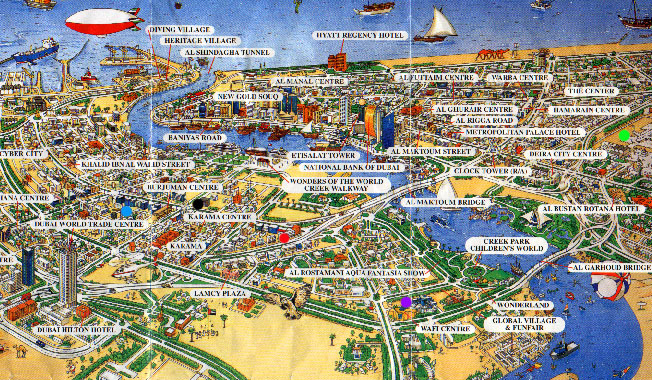 The Purple dot is the Wafi centre, near Planet Hollywood and Pyramids Resaurant complex.